Isra Chaker is a civil rights activist, campaigns and advocacy expert, and public speaker. She serves as the Refugee, Migration and Protection Campaign Lead at one of the leading international NGOs in the world, Oxfam; where she uses her campaigns expertise in managing this campaign that advocates for vulnerable people such as refugees, asylum seekers, temporary protected status (TPS) holders; and opposes discriminatory policies such as the Muslim Bans. 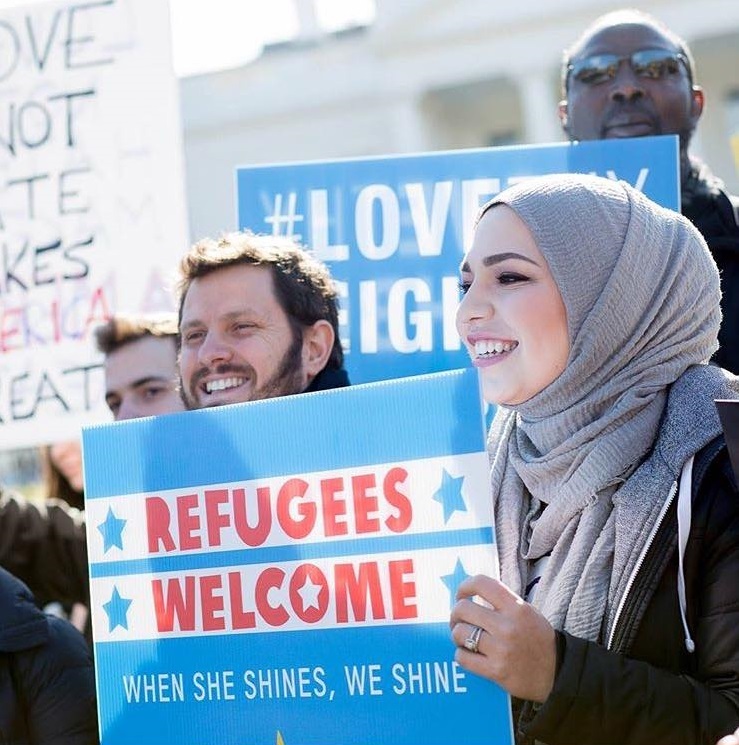 Being personally impacted by the Muslim Ban and not being able to reunite with her extended family in Syria, Isra is passionate in her work for reuniting families and advocating for vulnerable people. Recently, she was a featured speaker at the national #FamiliesBelongTogether March in Washington, DC to over 40,000 people. One of her infamous projects that went viral in 2017 was bringing refugees to President Trump’s childhood home in Queens, New York to share their experiences and their “American Dream”. She has been interviewed and featured on Democracy Now with Amy Goodman, NowThis, AJ+, ABC News, Al Jazeera, CNN, the Associated Press, VICE News, the Washington Post, etc. She is an appointed Global Ambassador for the United Nations Relief and Works Agency USA (UNRWA) for her invaluable contributions in raising awareness and funds for their projects supporting refugee assistance. In addition, Isra has consulted with major networks and shows such as Netflix and Grey’s Anatomy on the development of Muslim and Arab-American characters to ensure an authentic and accurate portrayal of the narrative. 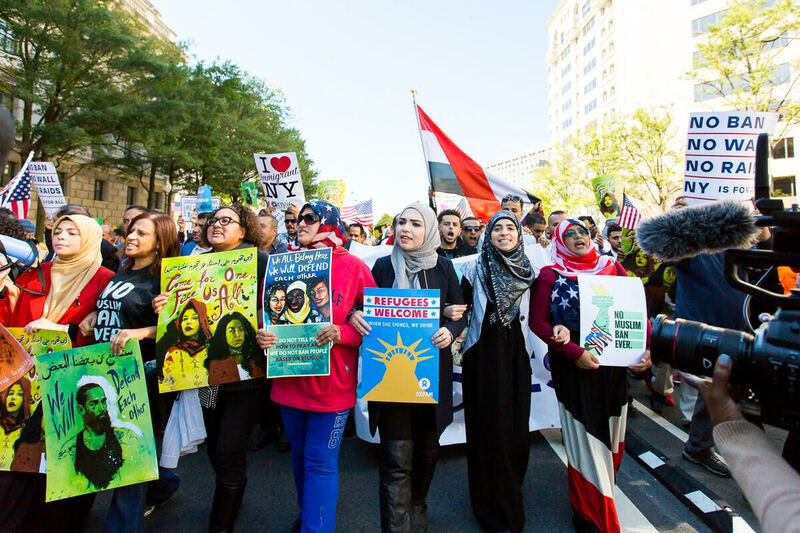 In addition, Isra was recently chosen as an ICON for the “We The Future” campaign by Amplifier, which recognizes ten young activists from across the country in their leading work on current social justice issues affecting humanity. Isra was chosen to represent the refugee and immigration justice theme, known as “We the Future, will not be Banned”. She is the only Muslim in the campaign, and art work of Isra as well as a curriculum she designed to break down the stereotypes and misconceptions of Muslims, refugees and immigrants will be taught in over 20,000 schools across the United States this academic year. Isra is the CEO of Chaker Solutions LLC, a company that specializes in providing training in leadership, project management, advocacy, policy strategy, and information technology solutions. She is a certified project management professional (PMP). Her vision for this company has been to go beyond being a motivational speaker by providing communities with the knowledge, tools and confidence to become effective leaders in their careers and communities. Isra served as the Advocacy and Outreach Coordinator at Syria Relief and Development; a lead humanitarian NGO working on the ground in Syria. She served as a lead advocate in the United Nations, meeting with Special Envoy to Syria, Stefan De Mistura in consultations on the greater Syria strategy. Her leadership elevated her voice to the highest level meetings at the White House, Capitol Hill, the US National Security Council and the United Nations Security Council.In addition, Isra served as a Fellow for President Barack Obama’s 2008 and 2012 presidential campaign; where she used extensive grass-roots mobilizing to support in the successful victory for President Obama in Colorado. 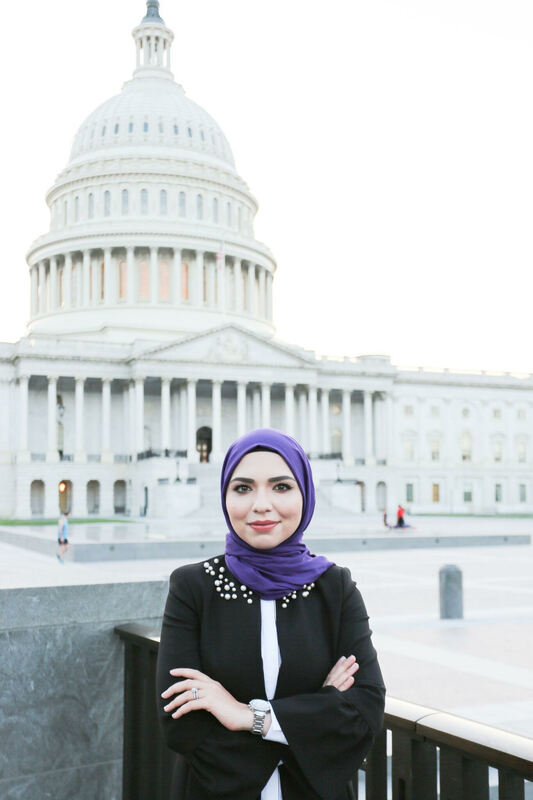 Isra received her bachelor’s degree in Architecture from the University of Colorado Boulder and her master’s degree in Global Affairs and Public Policy from George Mason University. Isra is a firm believer in positive social change and believes that “Change is On Us”. She created a social media platform @IsraSpeaks to empower people around the world to use their personal narrative to become engaged and active citizens who use their voice to create positive change. She uses her platform to educate people on social justice and political challenges facing humanity, to advocate for underrepresented populations, and to put a spotlight on leaders and organizations doing positive social change work. Isra has been invited to speak at the United Nations, major global conferences, and a multitude of local organizations and university campuses across the United States. Her story of choosing a life of purpose to break stereotypes of Muslim women because of harassment and discrimination she endured growing up, is the reason she is a powerful, eloquent and successful public speaker and engaging over 200,000 people on her social media platforms. Refugees have become a trigger word in the media and US politics. They are mischaracterized as a drain on our economic resources and dangerous villains. This discussion will shed light on the dangerous and harrowing journey a refugee experiences as they flee from persecution, violence, and war in search of a safe haven using first person accounts. It will break down the main misconceptions of refugees and give the audience action steps on how they can advocate for welcoming refugees on their campus and in their community. Social justice activist Isra Chaker delivers powerful speech of how the Muslim Ban impacts her at the Families Belong Together March in Washington, DC on June 30th, 2018. Isra speaks on how facing harassment and bullying motivated her to live out her purpose to the fullest, in giving back to humanity professionally and personally, and breaking down stereotypes of Muslim women. Learn about finding ways to channel adversity into change.